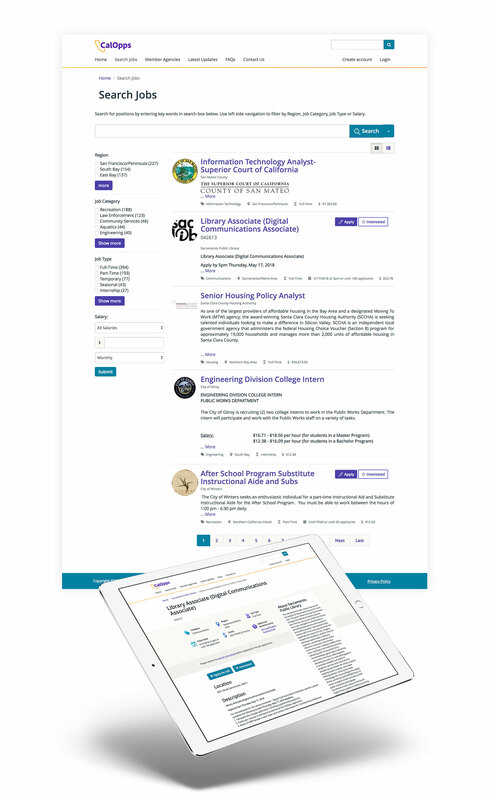 The ultimate public employment job board, developed by and for public sector agencies. 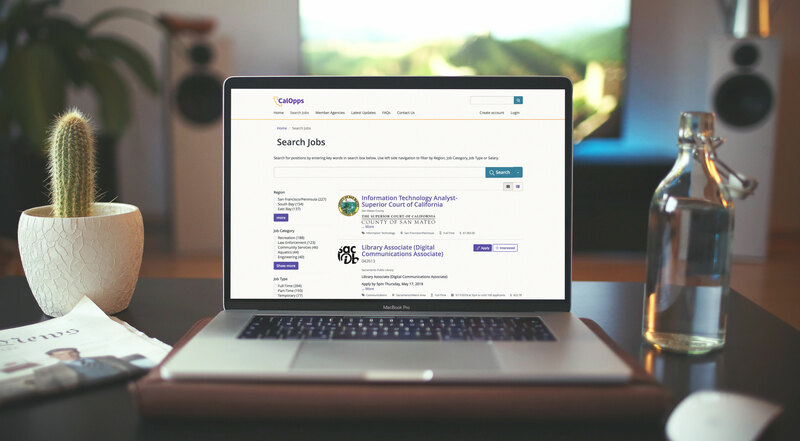 CalOpps is a public employment job board owned and operated by over 85 public agencies throughout California to provide a single source for job seekers to find and apply to public sector jobs. The system is managed by the City of Foster City. Upgrade and optimize a public employment job board that had been developed incrementally over many years, and was based on a legacy technology platform that was beginning to show its age. Agencies would need to continue using the existing site up until the moment the new site launched. Evaluate, standardize, and simplify business process workflows to help new agencies adopt the system for their own needs. Provide job seekers with a modern, mobile-optimized user interface and search engine to facilitate finding and applying for multiple jobs with minimal effort. 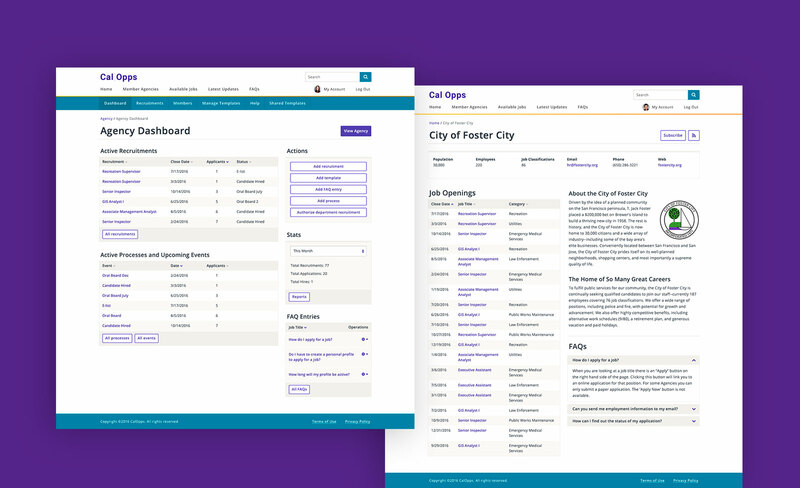 Optimize the process by which agencies use the site to post job openings, accept applications, and manage the entire unique hiring process for each agency.